Seraphine Mayes and her brother Danny are known as the summer-born Summerbournes, or the Summerbourne sprites – whispers from people in the village and school children have followed them their whole lives. But after her father’s death so close to their twenty-fifth birthday, during a search through photos, Seraphine discovers a photo of her mother with one baby, minutes before her mother was found dead. From here, Seraphine starts to wonder if she is really her mother’s daughter – Danny and Edwin, her older brother, look so alike, yet she has stark differences that have always made her stand out, and spurred on the rumours that Danny and Seraphine had a sprite-like quality about them, based on stories of witches’ cloaks and stolen babies in the night. In Seraphine’s mind, she is not that baby, not any relation to her brothers. In an effort to find out who she is, Seraphine embarks on a journey to track down the au pair from that day and will discover many more secrets that will affect more people than her and Danny and threaten to break the family apart – and that maybe there is more to her mother’s death than she has been told. The secrets she is about to uncover will change their lives forever. Family mysteries with a dual storyline as the main focus always make intriguing books – with the focus on family and identity rather than romance, which there is some of, though it is not always the overall goal of the character, but rather, a nice side story alongside the main pot as a nice addition, that is woven in and out neatly. Seraphine’s mystery is tightly plotted and thought out, with each bit of evidence presented at just the right time, slipping back and forth from 2017 to 1991 and 1992 seamlessly, where Seraphine and Laura – the au pair – get to tell their stories – and the clues slowly start to fall into place. Who Seraphine is, and where the au pair, Laura fits in, as well as who Alex is, and information that Seraphine never thought she would uncover in the course of her investigations and asking questions around the village, specifically with the village doctor. The reader discovers the secrets and facts along with Seraphine, and though one can try and guess at the outcome, it is not as clear cut as it is first thought to be, but the execution of this is so well done, it suits the story and entire plot so well. Overall, this was a well-written book, with an intriguing plot that held my interest and will appeal to fans of Kate Morton and other authors who work in dual or multiple timelines. The dual timeline is a tool that works well here to tell the story, because we need to hear from both Seraphine and Laura to get the full story, and understand what happened that fateful year at Summerbourne, and how the mystery of Seraphine and her brother came into being. Frieda Weekley, nee von Richthofen, is married to Ernest Weekley, and is living with him and their three children in 1907, in Nottingham. Born into German aristocracy, Frieda has in their eyes, and she has married well, and has three young children: Monty, Elsa and Barby. Yet Frieda yearns for more, and when she is exposed to ideas of free love and great intellect, she begins a series of affairs, starting with a doctor, Otto Gross, and culminating in an affair that saw her forever separated from her family wit author, D.H. Lawrence an affair that inspired the novel Lady Chatterley’s Lover, banned for more than thirty years after it was published. Set in pre-World War One London and Germany, between 1907 and 1913, Frieda explores a very different world, where familial and societal expectations based on gender, class and for some people as war grew closer, nationality. Caught between wanting to please herself, please her family and stay with her children, Frieda finds decisions will be made for her, at times without her knowledge, and she is driven to desperate lengths to see her children, enlisting friends to try and maintain a connection to them after she is cut off from them by the Weekley family. As a work of historical fiction, Frieda uses a woman’s voice – one who fought against oppression in favour of desire – is intriguing and gives a new voice to the world, and one I had not heard of, and a story I had not heard of, despite hearing about the novel that was based on Frieda and Lawrence’s scandalous relationship. It explores the perspectives of Frieda, her husband, Ernest, and their three children – Barby, Monty and Elsa, but particularly the eldest – Monty and the youngest – Barby, as Frieda weaves in and out of their lives and between Nottingham and Metz in Germany, where her family tries to convince her to remain with Ernest and leave Lawrence. These are some of the scenes where she feels the restraint of what her aristocratic family and society expects of her, and the hinted at war to come, where there already feel like there are tensions between some people in England and Germany, even though the war is several years away from beginning. Filled with a strong female voice, caught between love for a man she truly desires, love for her children and respect for her family, Friedaexplores the changing attitudes towards relationships, and how these changes started to occur during the early decades of the twentieth century, and the consequences that a woman like Frieda faced for having an affair and turning her back on her husband, rather than staying in a socially acceptable position to keep the peace, and maintain the order that society so desperately sought to cling to. But by following her heart, though the initial decision appeared to have been made without Frieda’s knowledge, with Lawrence taking it upon himself to inform Ernest, there was still an element of Frieda not having the freedom to make her own choices, when ironically, this is what she was aiming to do, even though it left her with some regrets about not being able to see her children until they turned twenty-one. Frieda’s story has a happier ending than Abbs’ previous book – The Joyce Girl – in what would become known as inter-war Europe, where Frieda is reunited with her children, and is able to live her life with D.H. Lawrence and provided him with inspiration for his oft- banned book, Lady Chatterley’s Lover. This was an intriguing story that dealt with various aspects of society, the individual, the arts, love and family, and concluded with a hopeful ending where everything felt as though it had concluded nicely, and showed that Frieda had found the freedom she longed for, even if it had come with a price. In 1911, Evelyn Northey has just turned twenty-one – the age she believes she will receive her inheritance from her long-dead mother and be able to go out into the world and make her own life, and her own decisions – away from the controlling home of her father. When she finds the conditions of the will – and her father’s ruling – prohibit this – she spends the next three years training to be a nurse in secret – a step towards her goal to becoming a doctor. When war breaks out in 1914 in Europe, she enlists as a nurse in the army – and is sent to Egypt, and the tragic, and disastrous Gallipoli campaign of 1915. Prior to her departure, she meets Dr William Brent at her physical assessment, a polio survivor whose disability has prevented him from enlisting and heading to the battlefront – yet he finds that he is able to serve in another way – in the hospitals of Egypt and Cairo with Evelyn. Together and apart – they work in casualty wards, fever tents and the operating theatres, and William tutors Evelyn in Latin and medicine, preparing her for her plans to attend medical school in Edinburgh. Through four years of war, Evelyn and William drift in and out of each other’s lives, their friendship and relationship develop along the way, with the ups and downs of life in war time. Both are determined to forge their own paths and not be reliant on another – Evelyn wanting to become a doctor, which means making sacrifices in her life – marriage, a family – to achieve her dreams, whilst William is hesitant to enter into a close relationship with anyone and burden them with having to care for him later in life due to his disability. But the friendship between William and Evelyn that blossoms into more is based on respect and understanding for each other. Pamela Hart again positions a woman in a man’s world- that of war, and this time, the medical world – and gives her a voice that the doctors and matrons she works with respect – especially William and Dr Fanous, who were like a balm to Evelyn’s harsh father. This contrast showed the spectrum of attitudes based on gender during this time, and I felt that poor Evelyn was treated quite unfairly by her father at the start of the novel, and through her stories of what had happened after her mother’s death – all of which was dealt with very well, and I enjoyed William’s response and the way he made sure he tried not to be like this – a true friend. The historical backdrop to the novel was made more authentic with the inclusion of the real desert nurses – Evelyn and Hannah were the only fictional ones in Pamela’s story, and her inclusion of Connie Keys, Selina (Lil) MacKenzie, Alice Ross-King, Mabel Pilkington, and Dr Agnes Bennett – the first female doctor in the British Army who was in charge of the hospitals in the Serbian theatre of war. 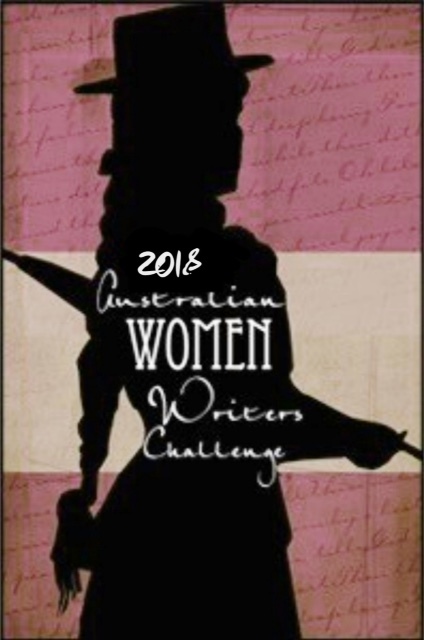 In doing this, Pamela has ensured the recognition of what these women did during four awful years for the world and for the Anzacs who left their homes in Australia to assist Britain against Germany – more information on these women can be found on Pamela’s author website. Overall, I really enjoyed this novel. The historical story, and Evelyn’s story and journey towards independence were my favourites, with the touch of romance on the side, which added to the story, and gave it a touch of humanity and hope amidst the death and destruction of World War I. Equally enjoyable were the inclusion of Rebecca Quinn and her brother, Linus from A Letter from Italy as good friends of Evelyn and her brother, Harry. Seeing two women who wanted more than what was expected of them was wonderful. Also, having a main character with a disability, who didn’t let it stop him doing what he set his mind to, was excellent to see as well. William didn’t let his polio stop him, nor did Evelyn let his disability colour her perspective of him – rather, she respected him and looked out for him when necessary, just as he did for her. An excellent representation. A wonderful read that evokes the gravitas of war, nursing and expectations of women in the early twentieth century alongside a love story that evolves throughout the novel to reach the conclusion readers hoped for.